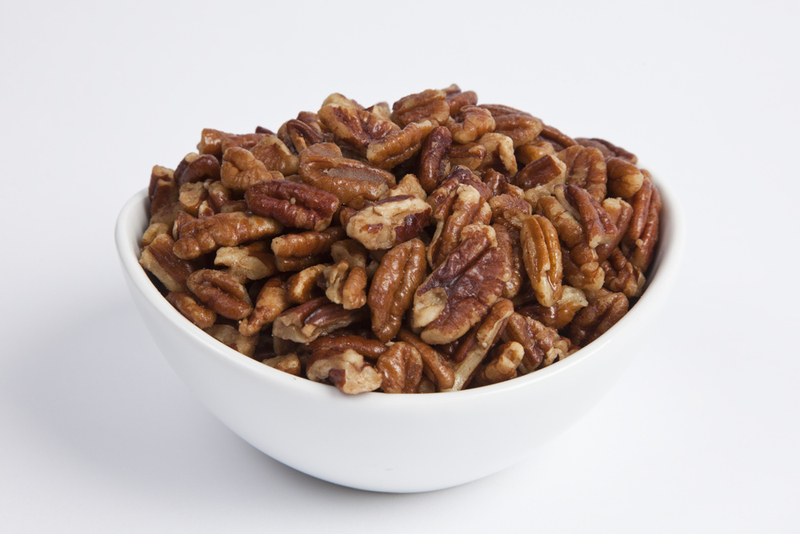 Roasted pecan pieces add flavor, crunch and texture to any meal or snack. We have them available salted and unsalted. Unsalted: Pecans, Peanut and/or Cottonseed Oil. Salted: Pecans, Peanut and/or Cottonseed Oil, Salt. I absolutely love these nuts! They are so delicious. I order these frequently for my business and they are consistently top quality. They ALWAYS arrive within one day of purchasing them, which I love. This company is extremely reliable. Comparable to local grocer "pieces"
Conswould like smaller pieces culled and sold as one product, larger pieces as another product. I plan to buy "halves" next order. Excellent quality nuts. I buy 10 pounds at a time. I love those pecans in my cereal with date pieces and un-refined sugar on Cherios. I eat this combo every morning after I do my exercises. I also eats pecan pieces throughout the day. But, I don't put pecan pieces on my pizza. For that I use salted cashew pieces on pepperone. Delicious!!. You might, no, you would say I'm a nut lover.